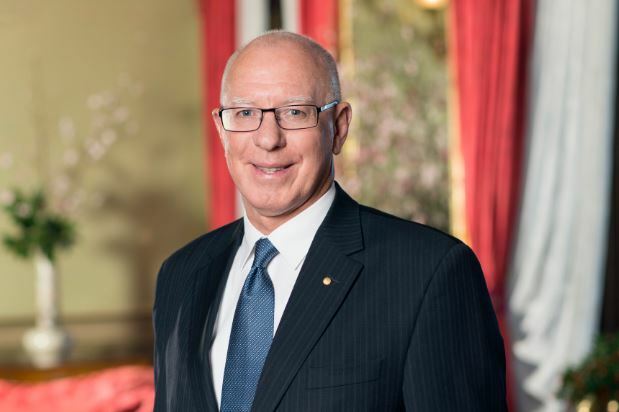 The Governor of New South Wales, His Excellency General The Honourable David Hurley AC DSC (Ret’d), today formally accepted the role of Patron of Australia’s most inspirational sporting event, the Australian Transplant Games. Governor Hurley is a strong supporter of people who have faced significant adversity. Many of his patronages encompass marginalised communities in NSW. The Australian Transplant Games bring together hundreds of athletes who have all faced such adversity through end-stage organ failure before being given a second chance at life. The 15th Australian Transplant Games will be held in Western Sydney from September 24 to October 1. The Games promote the benefits of donation and transplantation, and help transplant recipients strive towards improved health and fitness. Western Sydney has been chosen as the location for the upcoming Transplant Games to promote organ donation to Australia’s multicultural communities. The overall aim of the Games is to encourage more Australian to register their organ donor decision online at donatelife.gov.au. Governor Hurley today held a reception at Government House for transplant children and volunteers participating in the Games. Josh McDonald, aged 14 from Baulkham Hills, welcomed his fellow transplant recipients to the Reception. Josh received a kidney from his father Darren in 2005. Josh’s sports at the Games include volleyball, tennis and soccer. The Transplant Games unite those touched by transplantation and organ donation through an exciting week of sport and social activities. Transplant Australia Chairman, Jason, Ryan, describes the Games. “For recipients, participation is a way of saying ‘thanks’ to their donor families; for donor families, it’s a way to honour their loved one’s gift of life. Transplant recipients come from all over the country to take part. “Our athletes demonstrate living proof that transplantation saves lives. What’s more, it allows them a quality of life they might not have experienced for years. They can start a family, play sport, get back into the workforce – all because of the generosity of someone else,” Mr Ryan said. The message to all Australians from the staging of these Games is to register as an organ and tissue donor. “For every Australian willing to one day save lives, joining the register is the clearest message a person can give their family that, in the event of their death, they have made a decision to leave a legacy of donation to save the lives of other Australians,” Mr Ryan said.